DarkWave Studio is a free digital audio workstation for Windows. The main contains a virtual sound studio in which modules can be added to the right mouse button. The Pattern Editor tab is a pattern editor where you can modify the sound using control messages. DarkWave Studio also has multiple sequencer tracks very easy to use. Finally, the HD Recorder tab will record audio in real time and save it in the project as WAV files. 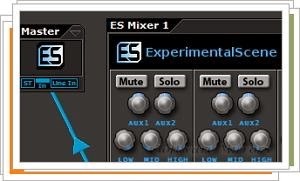 In addition to supporting VST plugins and ASIO, DarkWave Studio includes eight modules, such as a MIDI input a mixer, synthesizer or percussion. Everyone can connect to virtual wiring dragging the mouse from the lower connections. With a very low consumption of resources, an elegant interface and a range of functions more than enough, DarkWave Studio will help you compose music with ease.